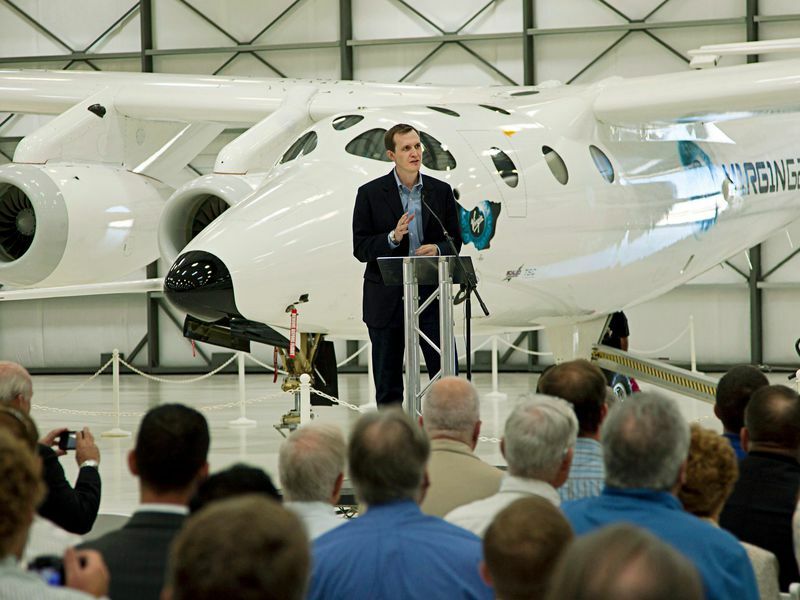 George Whitesides will lead Virgin Galactic’s first customers into space. George Whitesides oversees the construction and operation of SpaceShipTwo, a reusable suborbital spacecraft. SpaceShipTwo will launch tourists and scientists into space from its custom-built WhiteKnightTwo carrier aircraft, providing about five minutes of weightlessness during a 2.5-hour flight before landing in New Mexico. The system is based on Scaled Composites' SpaceShipOne, which in 2004 won the $10 million Ansari X-Prize for the first private crewed spaceflight. A former NASA chief of staff, Whitesides has worked for a variety of commercial spaceflight companies, chaired a Federal Aviation Administration panel on commercial spaceflight, and served with a number of spaceflight advocacy groups. He spoke with Associate Editor Zach Rosenberg in July. Air & Space: Can you give us a progress report on WhiteKnightTwo and SpaceShipTwo? Whitesides: The big shift was we took control of WhiteKnightTwo from Scaled [Composites] earlier in the year, and that was a big deal for us because that's part of our maturation as an actual operations entity…. Now we have a whole set of maintenance and other folks internal to Virgin Galactic and The SpaceShip Company that allows us to operate these vehicle on our own. We took over the WhiteKnight first, and almost immediately put it into a maintenance cycle and the annual inspection of the vehicle. We went over the vehicle with a fine-tooth comb because this would be the inspection that precedes commercial operation. Once we get into powered flight we'll try to rapidly move through the final phase of the envelope expansion test flight period, obviously culminating in a flight up to space altitude, then the next task will be to get ready to fly [Virgin Galactic owner] Richard Branson, and once that's done we'll be in a place where we could begin flying the rest of our customer base. Along the way we have to transfer the operations base to New Mexico. We're doing the interior fit-out of the spaceport now; it's exciting to see that too coming along. What about the second WhiteKnight/SpaceShip pair? We're now about 40 percent of the way through the build for the next SpaceShip. It's quite exciting; it's starting to look like a real spaceship. We've got essentially the main body of the cabin, and the nose, and the main booms, the wings…you can see their shape. We're starting to put systems into the vehicle. Obviously the structure is what you look at when you start to say, 'that looks like a spaceship,' but then there are all the electrical systems, pneumatic systems, life support, landing gear actuators, etc. We've made some progress on the next WhiteKnight as well but really the focus this year has been on SpaceShipTwo, serial number two. We've started building a few parts for serial number three, and where it makes sense we'll pop out an extra part or buy an extra system from the supplier....We eventually hope to be building these on one-year [cycles]. We're not there yet, but SpaceShip serial number three will probably be a bit but not dramatically slower than that. Any changes to future serials? We're starting to think about all those things. As we go through this build with serial number two we've started to identify some improvements we can make, tweaks here and there, but overall Scaled has designed a pretty solid vehicle. Right now my guess is that we follow this general template until we cast our sights on something more ambitious, like a SpaceShipThree or SpaceShipFour, something that has greater range, which we have started to think about. What can you tell us about those projects? All I can really say is that we're thinking about them, we've got some preliminary designs. The range of SpaceShipTwo is not very large, about 200 miles, and the question that we’ve started to pose to our engineers is, what changes would you make if you wanted to have significant range? We've started to think about what’s useful, what makes sense. If we were to start thinking about high-speed point-to-point would it look like SpaceShipTwo? 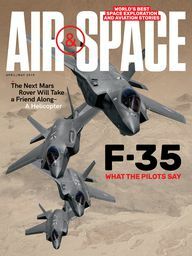 It would surely integrate some of the systems and innovations SpaceShipTwo has – those kind of questions are the things we're thinking about. There are still big questions to be answered: How big would such a vehicle be? What's the ideal size? What's the ideal range for that vehicle? Even things like what's the best propulsion system for that vehicle? What's the best way for it to re-enter? Those are all pretty critical questions and we're thinking through all of them now.